The Missouri Horse Shows Association (MHSA) will present the Jeff Shikles Distinguished Service Award to the University of Missouri College of Veterinary Medicine on Jan. 27, 2018. The award is named in honor of CVM alumnus, Jeff Shikles, DVM ’88. Shikles was well-known for his efforts on behalf of the welfare of animals, in particular horses. In 1999, after Shikles’ untimely death, the MHSA created the Shikles Award to honor the contributions that select individuals and organizations have made to the betterment of the condition of the horse and to the horse industry. In honoring Shikles’ alma mater, the MHSA again honors him and his chosen profession. 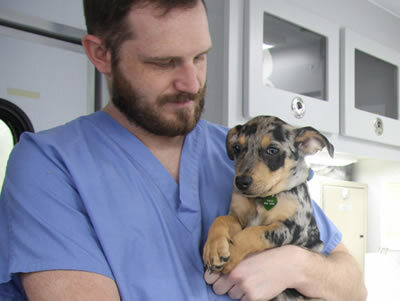 “The College of Veterinary Medicine provides direct clinical and surgical services, both on campus and in the form of ambulatory care; it trains veterinarians who will provide care to animals across the country; it provides continuing education and other support to practitioners throughout the region, and it is on the cutting edge of life-changing research projects that have global impact,” MHSA officials said in a statement. The CVM joins a select list of distinguished recipients of the Shikles Award, including CVM alumnus Donald Walsh, DVM ’69; pioneer in the world of therapeutic riding Sandy Rafferty; Kansas City philanthropists Landon and Sarah Rowland; and last year’s honorees Stephens College, William Woods University, Columbia College and Lindenwood University, which were the first institutions of higher learning in the country to establish equestrian science programs as part of their curriculum. The awards ceremony will take place during the annual meeting of the Missouri Horse Shows Association, beginning at 5:30 p.m., Jan. 27, 2018, in the Kimball Ballroom of the Lela Raney Wood Hall, Stephens College, Columbia, Missouri. For further information about the Missouri Horse Shows Association, the Jeff Shikles Award, or the awards ceremonies, contact Sue Webster (swebster31@yahoo.com) or Janet Thompson (janianfarm@aol.com).